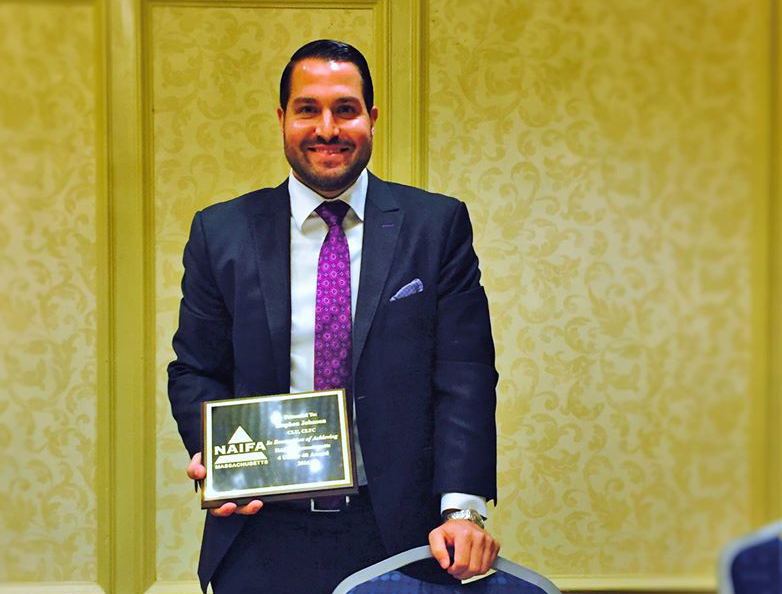 We are proud to announce that our very own Stephen Johnson has received the National Association of Insurance and Financial Advisors (NAIFA) 4 Under 40 Award. Founded in 1890, NAIFA is one of the nation’s oldest and largest associations representing the interests of insurance professionals. With this award, Steve participated in a panel Q and A held by NAIFA where he shared how his personal experiences launched him into a successful career. As a partner at Commonwealth Financial Group, Steve has maintained an unparalleled enthusiasm and genuine passion for planning, investing and wealth accumulation for over a decade. Steve is a consummate professional who focuses on the individual needs of his clients. He excels in assisting clients bolster their financial standing through the implantation of sound and progressive investment strategies coupled with prudent risk management. Steve joined CFG with a goal of expanding his practice further. He has since grown tremendously through continued education and development in the specialty services market. Steve is an integral member of CFG’s Business Planning Team and special needs planning program, SpecialCare. We couldn’t be more proud, Steve. Congratulations on this prestigious award!